On November 8, the supporting cast of the upcoming movie adaptation of Higashino Keigo's novel 'Platinum Data' was revealed. 'Platinum Data', starring Arashi's Ninomiya Kazunari and actor Toyokawa Etsushi,�is set in 2017 and tells the story of a young brilliant scientist named Kagura Ryuhei (Ninomiya), who works as a DNA specialist for the National Police Agency in the newly created underwater DNA data center. One day, he suddenly becomes the prime suspect in the murder case of the person who developed the new DNA investigation system. Having no memory of what actually happened, Kagura decides to run away from the police and the detective in charge (Toyokawa). The movie is directed by Otomo Keishi ('Rurouni Kenshin', 'Ryoma-den') and its screenplay is written by Hamada Shuya ('Zettai Reido'). 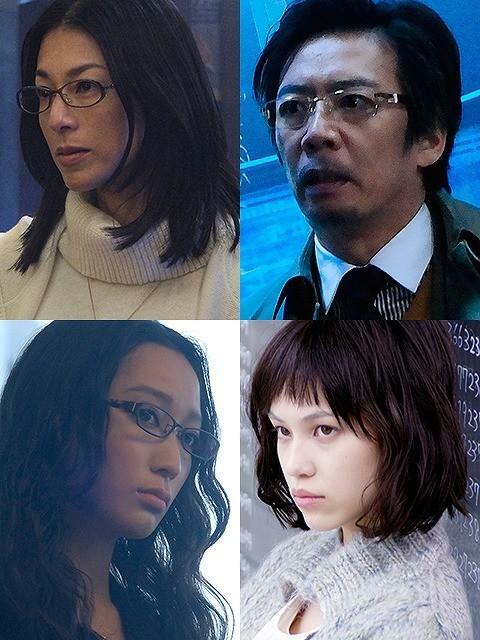 The four new additions to the cast are Suzuki Honami, Namase Katsuhisa, Anne, and Mizuhara Kiko. Suzuki plays an authoritative genetic scientist, while Namase plays the head of the research facility. Anne and Mizuhara complete the team as an analyst and a brilliant mathematician, respectively. The producer of the movie commented, "On top of driving the protagonist into a corner, we also wanted to make sure that we have uniquely fascinating characters with an extraordinary presence." He continued, "Whether movies, dramas, plays, or modeling, they are each on the top of their m�tier, and they're great actors who are usually picked for starring roles. We could have never imagined that we would be able to gather such a special cast." 'Platinum Data' hits theaters on March 16, 2013.